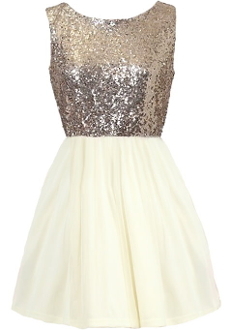 Get your glitz on in a mesmerizing dress designed for all your most memorable celebrations! Features a romantic cutout back crowned with dreamy ribbon ties, glittering gold sequin bodice, swingy ivory chiffon skirt, and a princess-style mesh overlay to finish. Pair with gold stilettos and a neutral clutch to complete the look! Color: Gold + Ivory. 100% Polyester. Hand wash recommended. 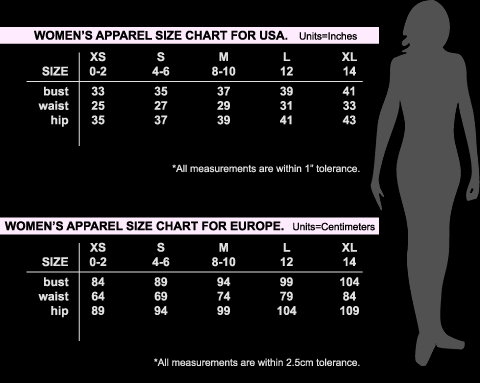 Measures 32" from shoulder to hem. Click here to see this dress on a model!